According to The Bridge Group, the average sales rep makes 46 calls each day. That’s a lot of time on the phone, and if those calls aren’t going out to qualified leads, it can feel like a massive waste of time. Unfortunately for sales reps, when it comes to the details of defining a qualified lead, uncertainty abounds. A CSO Insights study reveals that only about half of the companies surveyed were working with a formal definition of a qualified lead across marketing and sales departments. Another 19 percent of respondents had no definition whatsoever. For those companies that don’t define what a qualified lead is for their organization, only 34 percent advance leads to first discussions more than half the time. Meanwhile, for those working with a formal definition, that number leaps to 53 percent. So, what constitutes a qualified lead? Every organization can have its own parameters for narrowing it down, but the primary factor is that qualified leads have already shown genuine interest in the product or service before that first sales call begins. Whether they’ve downloaded a whitepaper from your company’s page, done a recent Google search on the subject or offered their contact information in return for a special deal, salespeople can make that first call with the confidence that they aren’t barking up the wrong tree. 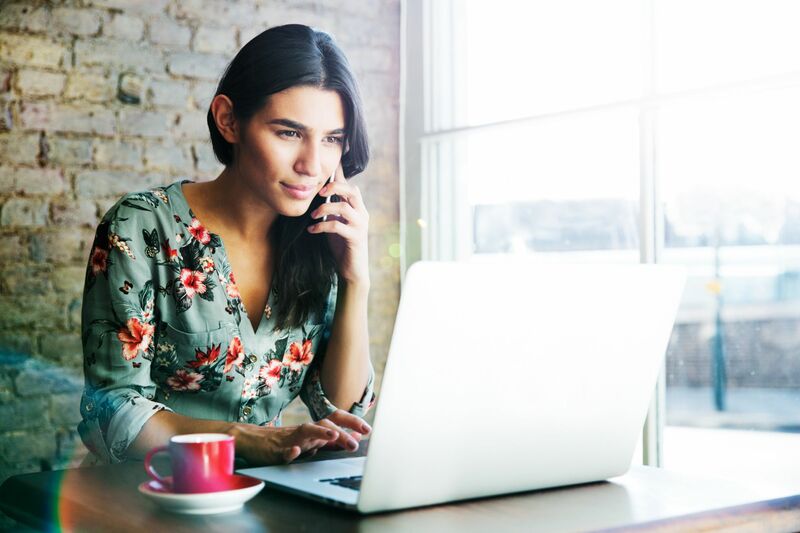 Once you’ve defined what qualifies a lead for you, connecting those consumers with your sales reps is the next hurdle to clear. Here are four things your business can do to generate more valuable leads before your team members dial a new number. 1. Narrow your focus with geotargeting. Geotargeting is a powerful tool for easily sifting through large numbers of people to target the ones who are the mostly likely to engage with your business — or even to be looking for what you offer. 2. Scrap the form letters and get personal. With today’s technology, no organization should be sending generic content. This is the age of customization. According to a 2015 report by Aberdeen Group, personalized email messages increase click-through rates by 14 percent and conversions by 10 percent. But don’t stop at plugging users’ first names in at the top of an email. The more personalized you can make your messaging, the better. Even videos can be a part of a personalized marketing strategy. According to Marketing Land, some brands have reported an 800 percent improvement on click-through rates when using a personalized video rather than a typical outbound email campaign. 3. Remove the meaningless jargon that only your team understands. Don’t bother obsessing over driving more traffic to your website if people can’t understand it once they land there. Your website should be a gate into a more detailed conversation with jargon-free content that explains to nonexperts why your offering is worth their time. Users should be able to quickly understand your product or service and why it matters for them. Anything less encourages people to close the window, and those who do end up on the phone with a representative are likely to be low-quality leads. See where your website stands on engagement by evaluating your bounce rate and the duration of the average visit. If the first is high and the second is low, consider common consumer questions and start brainstorming how you can answer them on your site. Remember to consider only those questions that qualified leads want answered. There’s nothing wrong with scaring off bad leads early — they only eat up time and rarely lead to closed deals. If you’re getting a lot of poor leads, add more hurdles, such as requiring users to answer a few questions before sending an email inquiry. 4. Place valuable gated content on your site. A similar strategy for weeding out bad leads is gated content. Strike a balance between presenting high-quality, free content and content that users gain access to by making an exchange. All of your website’s content should help communicate why your product or service is valuable, but people who are highly engaged will gladly give you their email address or answer a few questions to see more. Gathering even a little more information from consumers empowers sales reps to interpret the nature of a person’s interest in your business with significantly more accuracy. Improving the quality of your leads won’t just make your sales reps happy about more commission — it will boost your bottom line and create a more vibrant environment for employees. Implement some or all of these strategies, and your cold calling will start to heat up.